Kelvin Mills has provided us with an exposé of the temptation to cynicism about life. 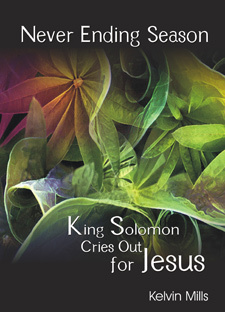 He unpacks the serious, the sad, the solemn and the ironic from King Solomon's final written work, Ecclesiastes; a book he finds to be extremely relevant to the questions many people are asking today. 'Never Ending Season' is eminently readable, written using non-technical language, in modern idiom, colloquially as though the author were actually speaking, and all the time coming back to the central theme of King Solomon's search for Jesus. Kelvin's insights into human nature are refreshing and captivate the attention as the reader identifies with the themes that resonate so strongly with 21st century living. Kelvin Mills grew up in Papatoetoe, South Auckland, New Zealand. He has the degrees of MSc and BA from the University of Auckland and has interests in mathematics, science, history and languages. Kelvin has spent most of his professional life teaching teenagers.